How Can You Play Online Lottery? Playing an online lottery can be fun and exciting as well as rewarding to the level of changing your life forever. 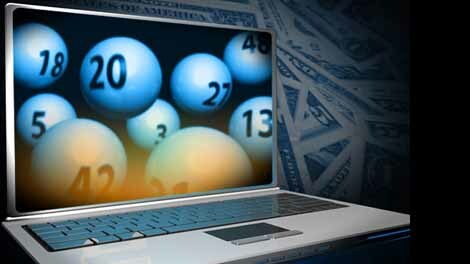 There are lots of choices when it comes to how you can play online lottery games. Regardless, there’s a few steps you will need to take before you can jump into playing a game and winning a huge jackpot. Setting up your account is the first step. It’s an easy process that should only take a matter of moments. After you establish your account you’ll need to fund it. It’s a safe and secure process. Once you have completed all of the registration and funding, you are on your way to playing an online lottery. At OneLotto there are numerous options available to you with regards to playing options. Deciding which lottery to play might be the most difficult part of the whole process. There are 15 lotteries from around the world to choose from here. You might want to start with just one or if you feel comfortable you can go for it and play all 15. Simply select the lottery you want to play then choose your lucky numbers for each play card you choose. If you aren’t feeling the lucky numbers selection process then you have them automatically chosen for you. Next you will select how many weeks the numbers you chose will be in play up to a total of 56 weeks. The more weeks you decide to play, the bigger the discount you will receive up to a maximum of 10%. In addition to the multi week discount, the current promotion offers a Deal of the Day that gives you one free play when you purchase 10. So you’re already a winner and the draw hasn’t taken place yet! 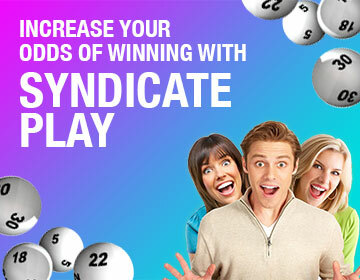 In order to make your money go further and have better odds of winning, you can take part in syndicate play. Another way of increasing your winning potential is to take part in an online lotto syndicate. These are lottery ticket pools where players share the cost of tickets in order to purchase more of them. The prizes are shared equally among all the syndicate members. One in every three lottery jackpots are won by syndicates. You can’t beat those odds. So grab your computer, tablet or smartphone and get started today by signing up to play lotteries online.